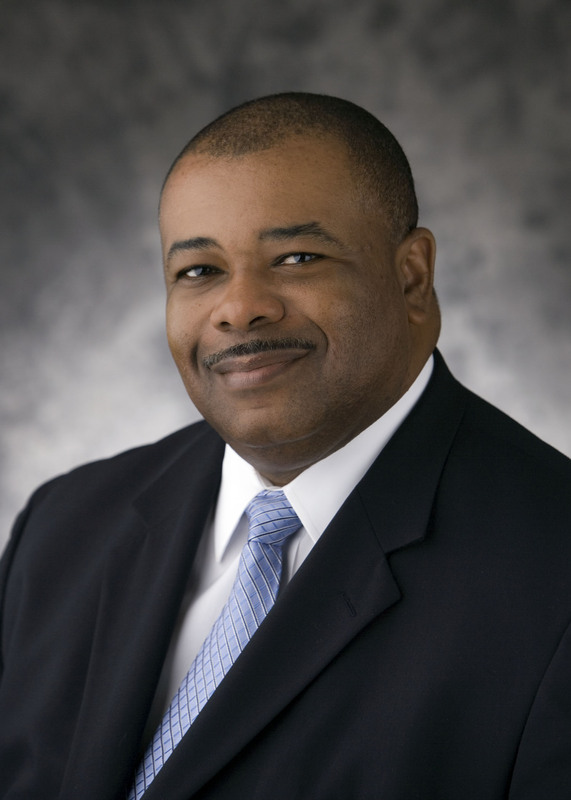 Oct. 9, 2007 - The Strong-Turner Alumni Chapter, a division of the ASU Alumni Association focusing on African-American alumni and friends of the university, will host Michael E. Lewellen, a 1983 graduate. He is currently Vice President of Public Relations for Universal Orlando Resort in Florida, and is former head of corporate communications for Black Entertainment Television (BET) Networks. Mr. Lewellen will speak at S-TAC's Gussie Turner Memorial and Linual Cameron Scholarship luncheon in the Student Union's Centennial Hall on Saturday (Oct. 13) at 12:30 p.m. The luncheon will also honor this year's scholarship recipients and outstanding alumnus, who will be announced at the event. Lewellen is responsible for Universal Orlando's external media communications, theme park and attractions publicity, and crisis management. He serves as Universal Orlando's primary media spokesperson. At BET, based in Washington, DC, he was the network's top communications executive in charge of media and public relations for the company's cable television, wireless services, home entertainment, Internet and international business units, as well as past ventures in publishing, restaurants and feature films. Prior to joining BET in 1999, Lewellen held a number of strategic communications and management roles throughout his career for such companies as FOX Sports Network, Turner Sports, Nike and Southwestern Bell Telephone. Lewellen holds a degree in journalism from Arkansas State University, and served as sports editor of The Herald, ASU's student newspaper. He is an accredited public relations practitioner with the Public Relations Society of America and the International Association of Business Communicators. Universal Orlando Resort houses innovative theme park attractions based on some of popular culture's most compelling films and stories. There are two theme parks, Universal Studios and Islands of Adventure as well as Universal CityWalk, a 30-acre restaurant, shopping and nighttime entertainment complex, with three themed on-site Loews hotels, including the Hard Rock Hotel. Flagship features in the theme parks include "Shrek 4-D," "Dr. Seuss Landing," "Jurassic Park River Adventure" and "The Amazing Adventures of Spider-Man." The Strong-Turner Alumni Chapter was formed at Arkansas State University in 1982. The chapter is named after the late Walter Strong and Frederick Turner, the first African-American graduates of Arkansas State University. Mr. Strong graduated with a degree in chemistry in 1959 and received a master’s degree in education from ASU in 1971. Lt. Col. Turner was a 1960 graduate in education who received a master’s degree in education from ASU in 1972. He is the father of 1986 ASU graduate Dr. Debbye Turner, who was Miss America 1990. The Strong-Turner Alumni Chapter was formed by a group of African-American alumni to meet the needs of African-American alumni. S-TAC has many activities planned for this year's Homecoming at ASU. On Friday, Oct. 12, the Strong-Turner golf outing will be at Sage Meadows Golf Course at 1 p.m., with a S-TAC social that evening at the home of Marlon and Ruby Henderson, 3403 Bolt Blvd. in Sage Meadows, at 9 p.m.
On Saturday, Oct. 13, S-TAC will hold a business meeting in the ASU Student Union Osage Room, followed by the luncheon with Mr. Lewellen in Centennial Hall at 12:30. At 10 p.m. Saturday evening, the S-TAC alumni dance will be held at the 501 Club in Jonesboro. For more information on the Strong-Turner Alumni Chapter or on activities scheduled for Homecoming 2007, contact the ASU Alumni Association at (870) 972-2586 or e-mail alumni@astate.edu. For more information and the full schedule of Homecoming events, contact the ASU Alumni Association at (870) 972-2586, e-mail alumni@astate.edu or see the Alumni website at http://www.astatealumni.org.